The note read, “Send $20 and get a copy of Bob Martin’s book, God the Father.” Yes. That was the book for Bob. 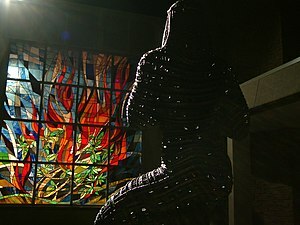 If you listened carefully to the droll reading of the theology notes, you would see the burning bush. You would want to turn aside to know why it burned without being consumed. Then you would begin the knowing of God.